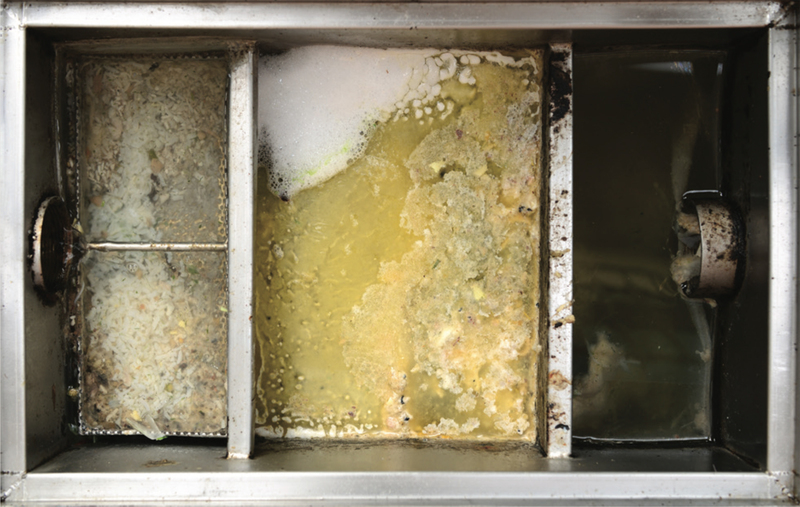 Commercial kitchens are required to fit some type of grease interceptor to collect fat before it enters the sewer. Wastewater, consisting of the contents from your toilet, mixed with hot water from sinks, showers, dishwashers and washing machines, maintains a fairly consistent temperature of 16 to 21 degrees celcius (depending on the geography and season) as it travels through the sewer, onwards towards the treatment plant. Sewer fat arriving directly from the ‘source’ (e.g. 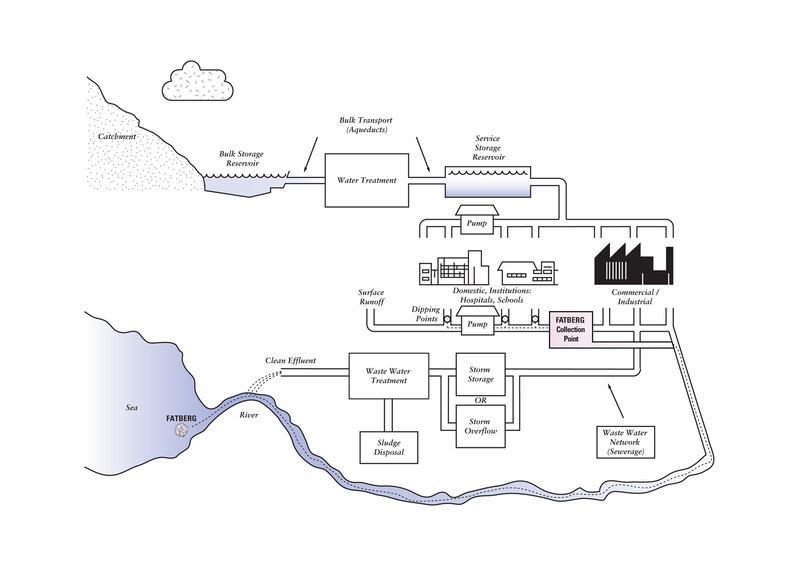 residential houses, restaurants and factories) typically travels in liquid form within this flow of warm waste water. A grease interceptor is a plumbing device designed to intercept most greases and solids before they enter a wastewater disposal system. Inspired by this, we imagine a system for the accumulation of masses of fat inside of a tank, before transporting the final “embryonic fat bergs” further into the sewer for collection. Using the water flow to generate energy and mechanical movement, the machine dips and accumulates fat at a speed relative to the water flow. As water enters, a tank with 3 chambers slows the movement of fat, allowing the liquid fat to naturally separate from the water. The stream of sewer waste water subsequently generates movement of the dipping mechanism, moving up and down, collecting a thin layer of fat each time it dips into the liquid below. When the fat embryo reaches its maximum weight, the balance mechanism tips over and is collected by the conveyor belt above, transporting the newborn fatberg deeper into the sewer. Research, text and images by Nienke Helder.